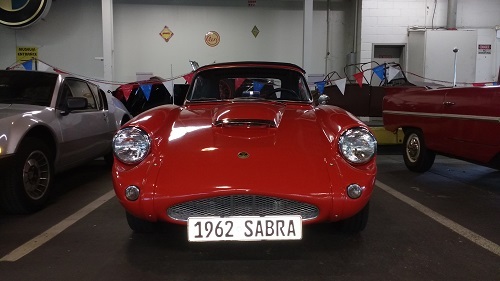 The Sabra Sport was Israel’s first foray into the world of sports cars; parent company Autocars Co. Ltd. had been established as Israel’s first auto and light commercial vehicle manufacturer in 1957. Since Israel had had no motoring industry prior to this, a great deal of outside help and parts sourcing was needed – difficult to come by at the time for fear of Arab boycotts. The Sabra name held great meaning – it was both the name of the national symbol, a cactus, but also the nickname for a native-born Israeli. Period marketing touted it as “The car that’s “alive” for people who love life!” The target market was the USA, where they hoped sports car lovers would take notice.he Sabra Sport was Israel’s first foray into the world of sports cars; parent company Autocars Co. Ltd. had been established as Israel’s first auto and light commercial vehicle manufacturer in 1957. Since Israel had had no motoring industry prior to this, a great deal of outside help and parts sourcing was needed – difficult to come by at the time for fear of Arab boycotts. The Sabra name held great meaning – it was both the name of the national symbol, a cactus, but also the nickname for a native-born Israeli. Period marketing touted it as “The car that’s “alive” for people who love life!” The target market was the USA, where they hoped sports car lovers would take notice.In reality, much of Autocars’ product line came directly from British three-wheel specialist, Reliant, either as completed cars rebadged and sold as Autocar products, or in kit form, assembled and sold both domestically and exported. 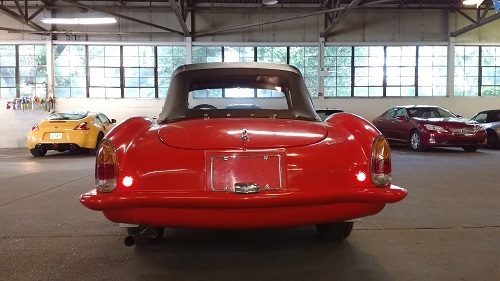 The Sabra in particular was a true British “bitsa” car – the fiberglass body was by Ashley Laminates, the suspension by L. M. Bellamy Components, engineering and frame by Reliant, engine from Ford UK, a ZF transmission, Austin brakes, and even Alfa Romeo taillights! In all, 27 different vendors supplied parts to the Sabra. 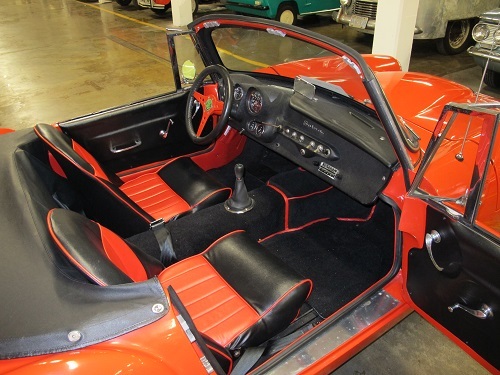 It was intended to be a quality, hand-built sports car without the use of sophisticated production techniques. The first 100 cars (this is car #41) were built in Tamworth, Staffordshire at the Reliant factory, and exported directly to the USA – it never even got Israeli soil on its tires. The next 48 Sabras were sent, in kit form, to Haifa for assembly and export; the next 58 for sale to the local market. 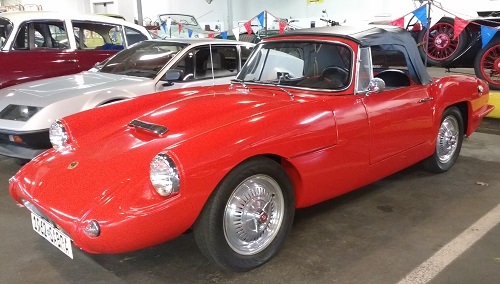 Seeing the modest success of the Sabra, Reliant sold their own version at home as the “Sabre”, their first of many four-wheeled sports cars. By the mid-1960s, demand had waned, and Autocars was sold in 1974 and renamed Rom Carmel. Production of the sedans and light trucks continued for a few years, and then was sold again, becoming Urdan Industries. The company finally met its end in 1980. Of the 400 or so Sabras built, about 100 are still known worldwide - mostly in Israel, the US and Belgium. It was succeeded by a six-cylinder Triumph-engined model, the Sabra 6.